Win a VIP Download Festival experience worth £610! 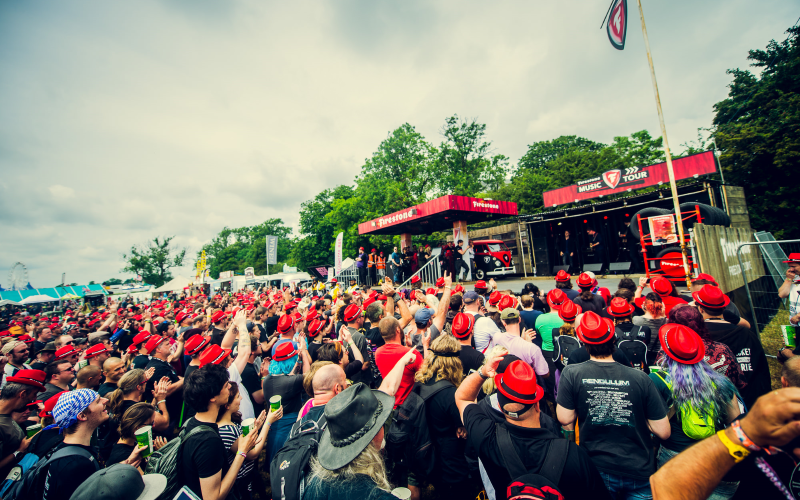 Firestone, the world famous tyre brand, is aiming to connect with music lovers across the UK throughout the year with authentic music experiences and now it’s time to meet and rock on together and discover new emerging talent at Download Festival. And to coincide with the volume cranking up at Donington, the ever-popular brand is offering a summer festival survival kit, featuring a tent, a sleeping bag, a sun hat, sunglasses and a torch. It promises to be a festival to remember too, with Scottish rockers Biffy Clyro and rock royalty Aerosmith headlining on Saturday June 10 and Sunday June 11 respectively. Firestone is offering a pair of VIP weekend tickets to see the iconic bands – not to mention a host of other acts. Firestone is gearing up for a year to remember and is delighted to be an official partner of Download Festival as it prepares to leave a lasting impressing with thousands of music lovers. The historic brand’s association with Download will form a focal part of a long-term revitalisation as it reaches out to a vibrant, young-at-heart audience like never before. Firestone – and its famous shield - is widely recognised around the world as being steeped in style and success, with these virtues being brought to life at Download as it aims to become the tyre choice amongst thousands of festival fans.